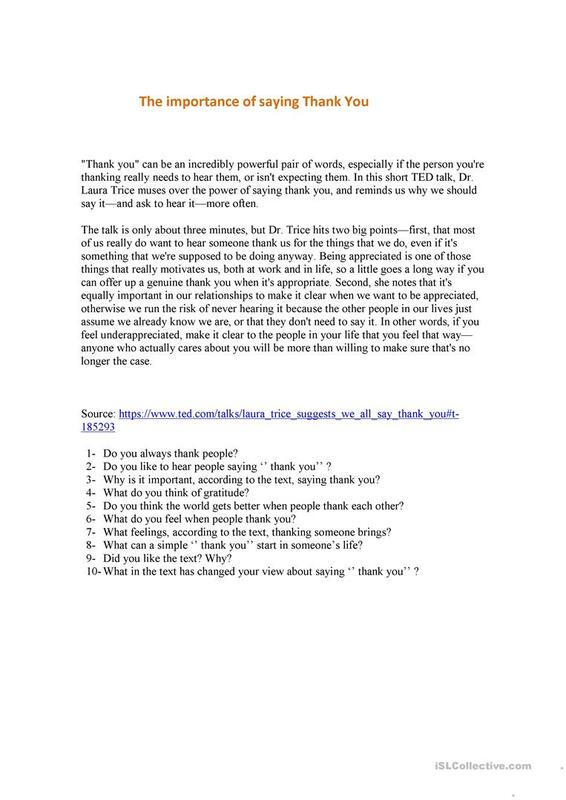 Short and good text to read, write and speak about the importance of saying thank to people. Good to debate about it, 10 questions to work with. No solution, some questions are about the text, some give freedom to students think and express their opinion. The above downloadable teaching material is intended for high school students and adults at Pre-intermediate (A2), Intermediate (B1) and Upper-intermediate (B2) level. It is aimed at revising Word classes in English, and is useful for improving your groups' Speaking, Reading and Writing skills. It is about the vocabulary topic of Actions.